Here's a fun fact: did you know that Ursula's design was inspired by the drag queen Divine? Makes sense to me. Ursula is a pretty fabulous diva, despite being evil and all. There are some pretty diva-licious Disney characters, but for me, she takes the cake. For my nail art, I've painted her tentacles on my four fingers and her *ahem* bust and necklace on my thumb. 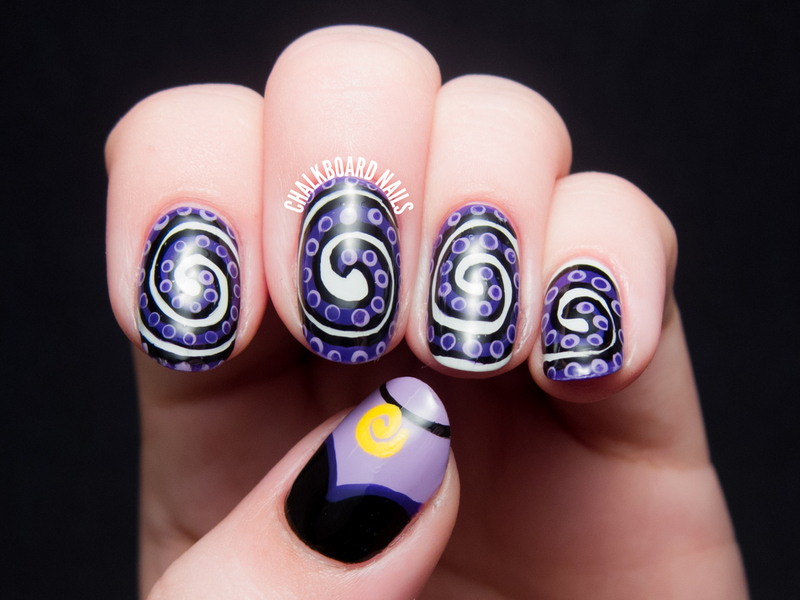 I started each tentacle by painting a dark purple spiral and outlining it with black. 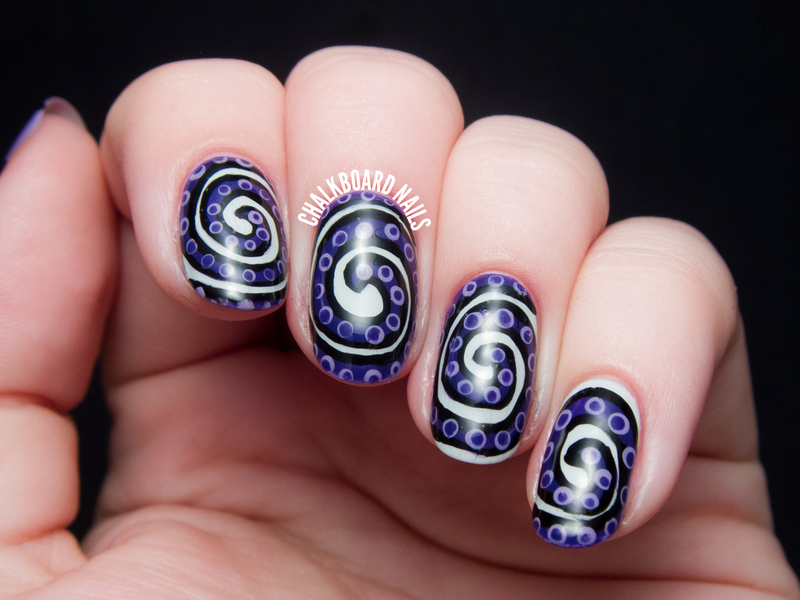 Then, I filled the spirals with light purple dots, and stacked a smaller dark purple dot inside it. Though the process for Ursula's tentacles seems simple enough, they took a while to complete. The hypnotizing spirals really demanded a lot of precision, so I tried to take it slow. These look so good! Just love the design. Oh wow! These are amazing! You've recreated her perfectly! Love it! 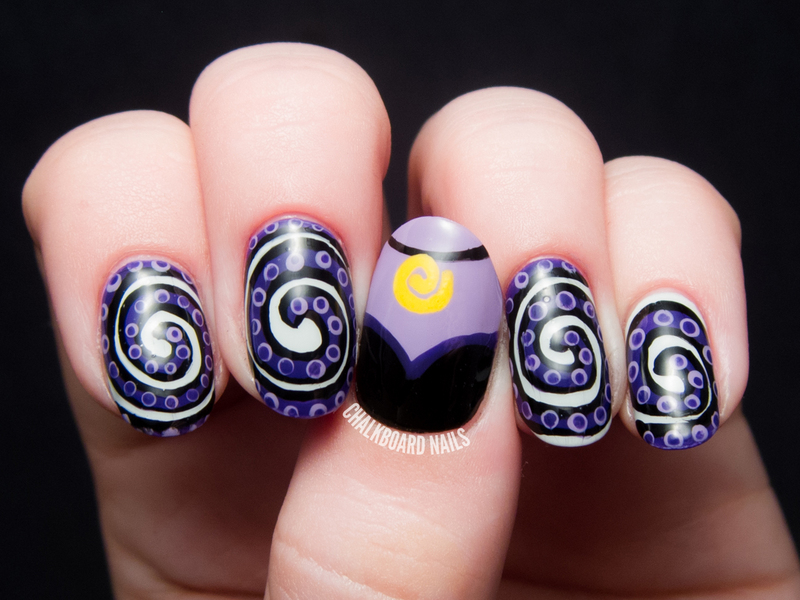 You personified Ursula on your nails. This is fantastic. I love Disney. I love title, Disney Diva. I would have used that for my user name if I had thought of it. That is me. ha ha. Not Ursula, though just a diva who loves Disney more than anything, gasp* yes, even more than polish. Haha, feel free to use it if an opportunity comes up! Thanks! I had no idea that Ursula was based on Divine! I can totally see that now. Plus I'm sure my dad would be proud I know who that is. Haha. Your nails are amazing, you captured her perfectly. Personally I love Ursula, quite frankly I think she was misunderstood, she was an entrepreneur with two awesome eel pets. How can you hate on her for that? Amazing! They are so perfect they look like stickers. Perfect choice of colors! wow.. amazing mani. I love all the details! incredible! It's funny how this is SUCH good way to represent Ursula, without using an actual face or something :). You captured her essence! This is so fun. Ursula is fab. I kind of love her! Thank you! 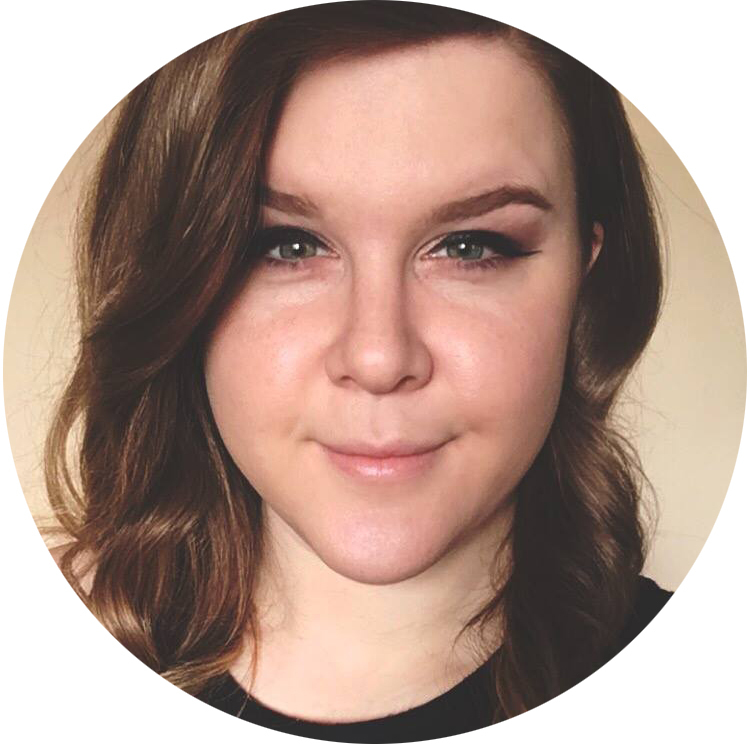 Please let me know if you give them a go! 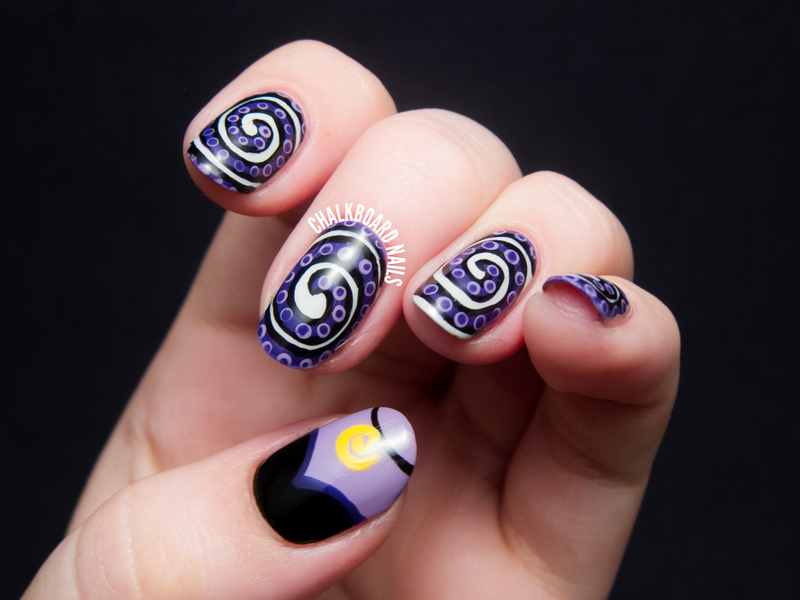 These are gorgeous, and represent Ursula perfectly! She's such an interesting character, even though the movie makes you really hate her! Hades is awesome! I also love Jafar from Aladdin.